266 pages | 9 B/W Illus. The dramatic transformation of our planet by human actions has been heralded as the coming of the new epoch of the Anthropocene. Human relations with water raise some of the most urgent questions in this regard. The starting point of this book is that these changes should not be seen as the result of monolithic actions of an undifferentiated humanity, but as emerging from diverse ways of relating to water in a variety of settings and knowledge systems. 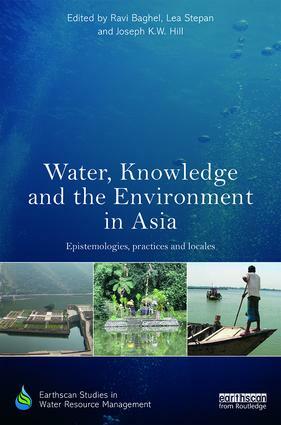 With its large population and rapid demographic and socioeconomic change, Asia provides an ideal context for examining how varied forms of knowledge pertaining to water encounter and intermingle with one another. While it is difficult to carry out comprehensive research on water knowledge in Asia due to its linguistic, political and cultural fragmentation, the topic nevertheless has relevance across boundaries. By using a carefully chosen selection of case studies in a variety of locations and across diverse disciplines, the book demonstrates commonalities and differences in everyday water practices around Asia while challenging both romantic presumptions and Eurocentrism. Examples presented include class differences in water use in the megacity of Delhi, India; the impact of radiation on water practices in Fukushima, Japan; the role of the King in hydraulic practices in Thailand, and ritual irrigation in Bali, Indonesia. Ravi Baghel is a postdoctoral researcher at University of Trier and is affiliated to the South Asia Institute, Heidelberg University, Germany. Lea Stepan is a researcher at the Cluster of Excellence: "Asia and Europe in a Global Context" at Heidelberg University, Germany. Joseph K. W. Hill is an assistant professor (visiting faculty) at the Department of Rural Management, Xavier Institute of Social Service, Ranchi, Jharkhand, India.